What a welcome blast of Spring! My palate is casting aside prior cravings for rich, comfort food and yearning –instead – for a savory nutritious salad. dish at a local restaurant. It was deliciously simple, seasoned with balsamic vinegar and fresh rosemary. I’ve always loved it and often try recreating my memory of that recipe. Extra virgin olive oil could substitute for walnut oil, if desired. Black or French Green lentils would, as well, be a lovely substitute for the brown lentils used. It occurred to me that toasted pine nuts and slivered proscuitto would be nice additions. I’ll save it for the next time. Rinse lentils and remove any visible small stones. 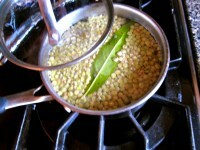 In 4 cups salted water, bring lentils and bay leaf to a boil. Reduce to a simmer and cook, with cover ajar, until desired tenderness is reached, 15-25 minutes. Heat 1 tablespoon of the walnut oil in large sauté pan. 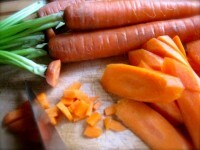 Sauté carrots until just tender, about 3 minutes. In a large bowl, whisk together remaining walnut oil, 2 tablespoons vinegar and rosemary. Remove carrots from pan and toss with onion and cooked lentils in walnut vinaigrette. Season to taste with additional vinegar, if desired, kosher salt and freshly ground pepper. In same pan, sauté spinach with a pinch of kosher salt, until just wilted, 1-2 minutes. 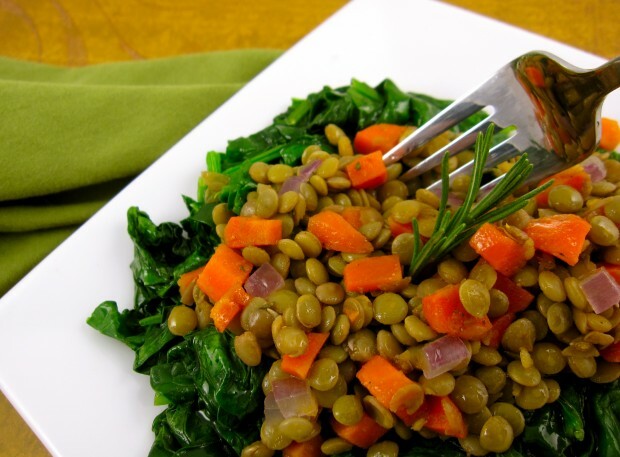 Serve lentils over wilted spinach and garnish, if desired, with rosemary sprigs. More Recipes Filed Under "Feed Your Children"
Oodles of zoodles to channel the words!